1. of, relating to, or resulting from motion. o (of a work of art) depending on movement for its effect. beaches, riverbeds, the seabed, and deserts. · Great for Developmental skills and Learning Minds! · Won’t Spread all over. 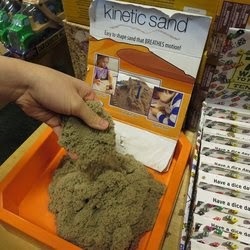 I saw this sand in an open display at the checkout counter of an Aaron Brothers store. Of course, I had to touch it and see what was so special about this kind of sand. I have to admit, I didn’t want to stop playing with it. It felt soft, cool and squishy between my fingers. It did clump together as promised and was just fun to squeeze and mold. I was tempted to buy some …but then, I remembered. I remembered that the bane of my existence is, in fact, sand! 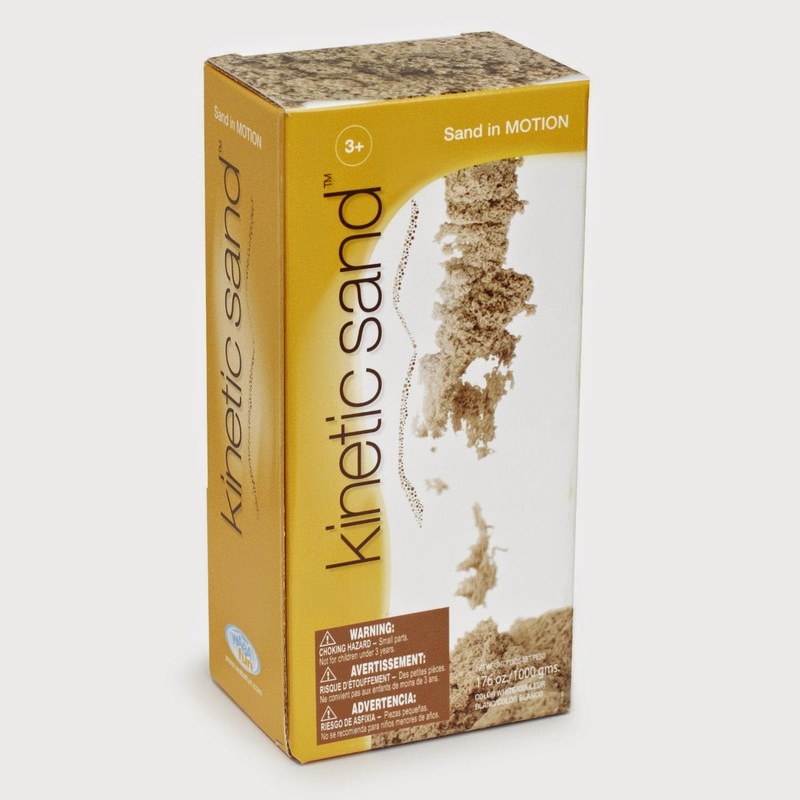 Not Kinetic Sand, mind you, but sand just the same—the garden variety that you find in the average sandbox, such as the one in our backyard. I’m not sure why, but when I was growing up, a preferred picnic item for family outings was often cold fried chicken. Although, it tastes good, cold chicken is also greasy and messy. Once you’ve handled cold chicken, your hands are irreversibly sticky. Napkins do little to help the situation—leaving small, torn pieces of greasy paper stuck to your fingers. 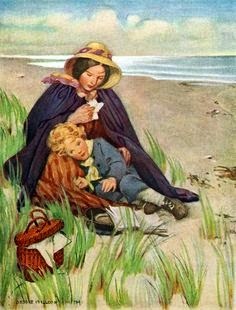 On more than one occasion, my mother packed wonderful picnic lunches that took half the day to prepare. 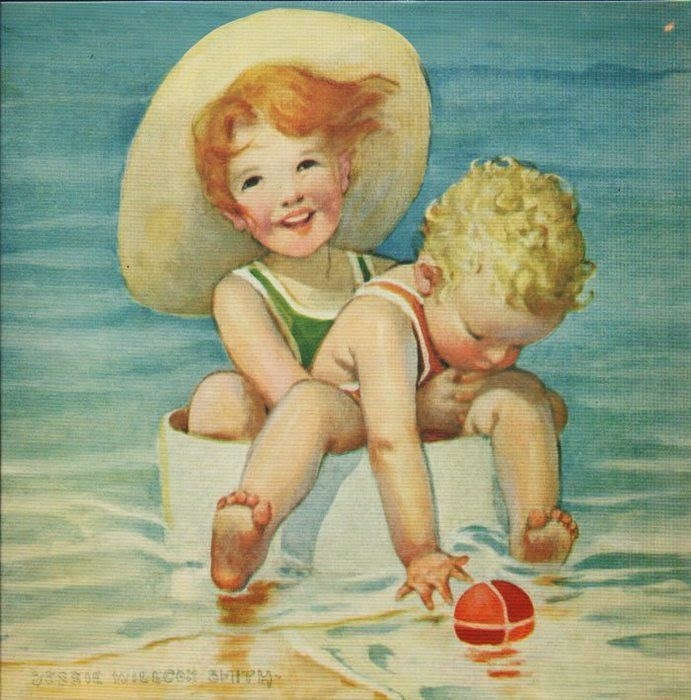 During my early years, many of them included cold chicken legs, thighs, wings, and breasts to devour at the point of starvation after a busy morning playing at the beach. 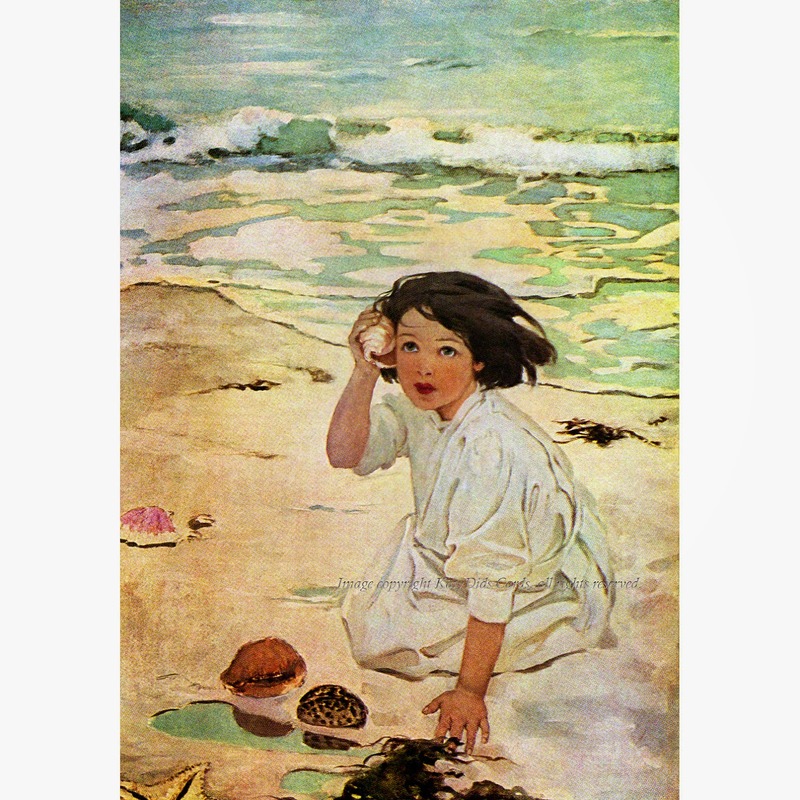 Little children know how to make the most of a day at the beach—dodging waves, wading and splashing in the foamy seawater, collecting seashells, building castles and digging holes in the sand. Inevitably, sand is involved in each of these activities. In fact, there is no avoiding it, even if you want to. 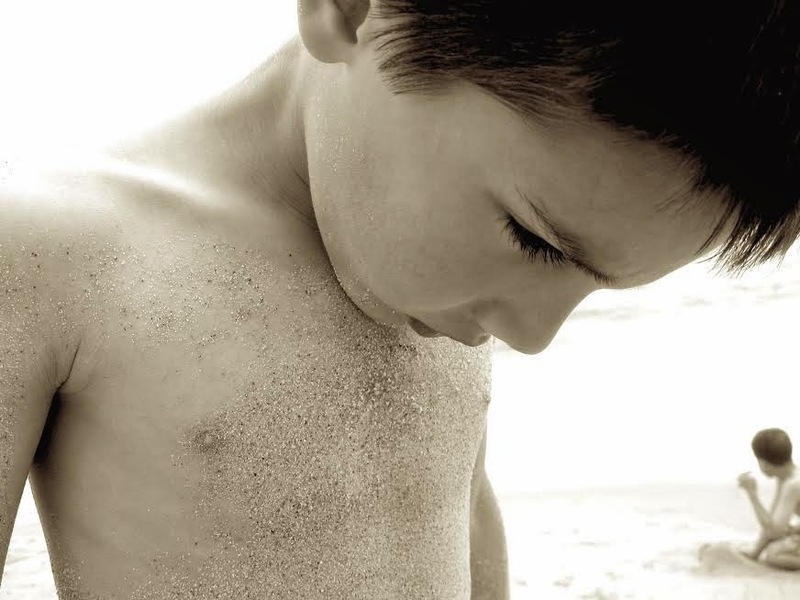 Like cold chicken, beach sand has the particular attribute of being sticky. It sticks to your legs and feet, to your hands and arms, between your fingers and toes, and all through your hair and scalp. It clings to your wet swimsuit, or your dry swimsuit. It sticks to your beach towel and lines the bottom, sides and pockets of your tote bag. In other words, it sticks to everything! Our grandson wears sand well! It seems reasonable then, that it would also be on your lunch. And it was. If eating sticky cold chicken wasn’t enough to wreak havoc at a picnic on the lawn, add a little beach sand and you have a perfect combination of sticky and icky. 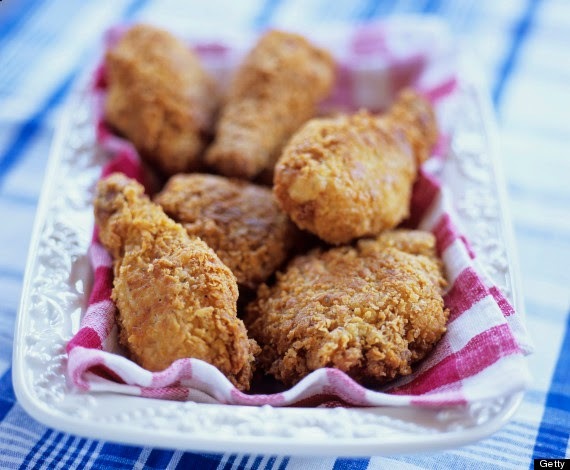 Fried chicken often has a nice crispy crunch, but that is nothing to the crunch of sand in every bite. I lost my taste for cold fried chicken while on a beach picnic about 55 years ago….and that has definitely stuck! We felt self-important and at leisure to lounge about on such a private beach. As time passed, the tide pursued its normal routine: “coming in.” The water gradually sneaked up the beach until it pulled its sneakiest prank of all: invading our dry lounging area. With the lapping of each unsuspecting wave, it deposited about two pounds of sand in each of our suits. We cast aside our “coolness” in an attempt to rid ourselves of the excess scratchy, saggy, weighted burden by dipping our lower halves into the water, but to no avail. Each succeeding dip only deposited more of that loathsome sand. I am grateful we were on a private beach, away from public humiliation and scrutiny. I felt as if I was dragging a dumbbell in my swimsuit bottom, and, no doubt, resembled a baby with a too-full diaper. Removing the sand must have been traumatic to the point of amnesia, for I honestly can’t remember how we got the sand out without creating a trail into the bathroom packed with enough sand to drive a mule train over. 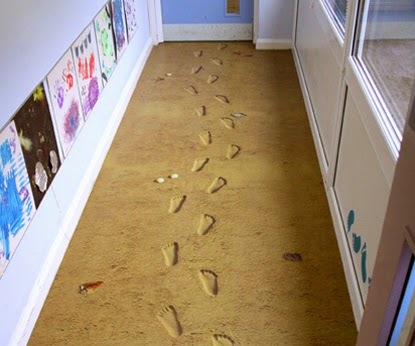 This aptly illustrates bringing the beach indoors, sand clumping when wet, as well as sand in motion. If you get one “benefit,” you get all. Fast-forward several years and you’ll find my husband, Brad, building a sandbox for our young children for the first time. 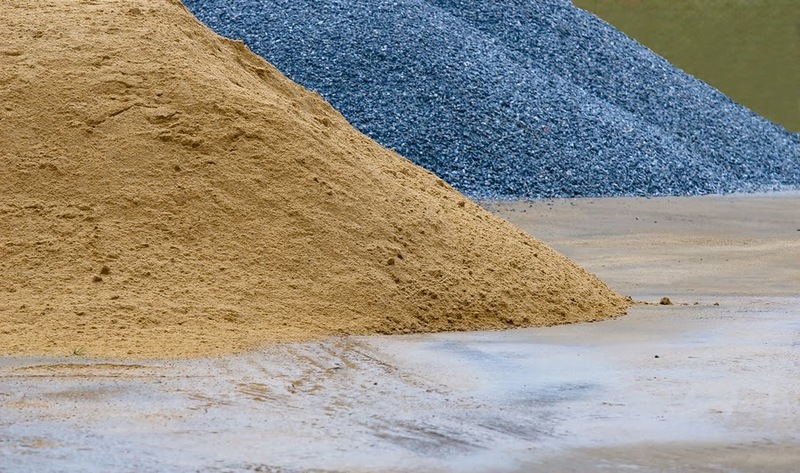 In those days, when our finances were meager, we purchased the lower grades of sand that had a coarser texture than beach sand. 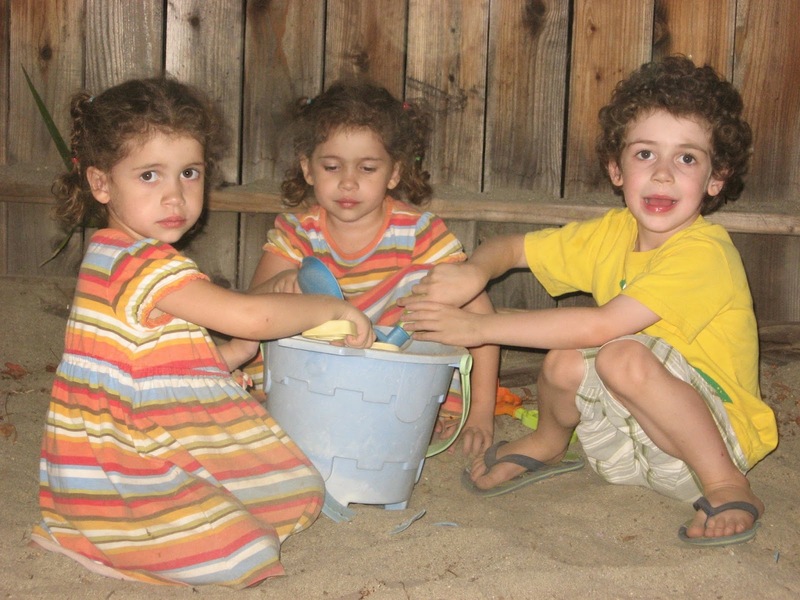 The children enjoyed hours of digging, playing and even school activities in those early sandboxes. Very little of it came in the house, because of the coarse composition. 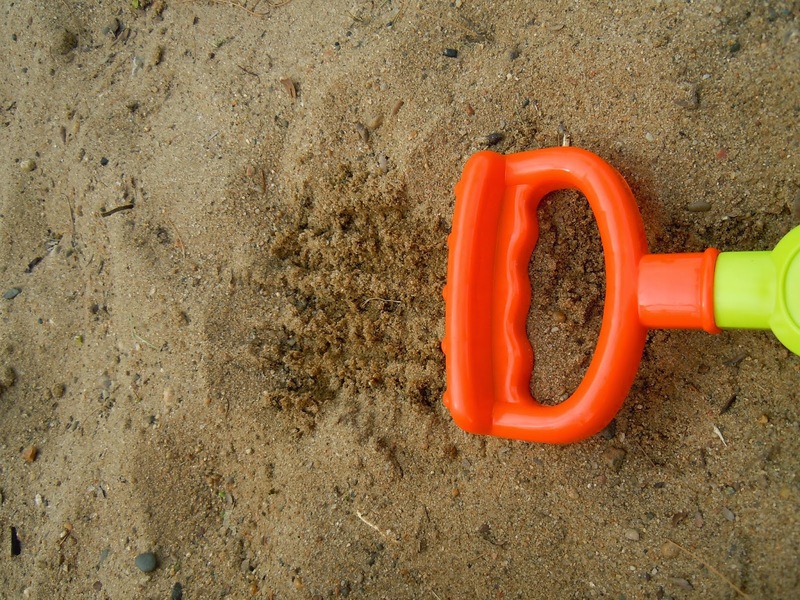 It’s difficult to restrict children from playing in a sandbox when it is great for their development and learning minds. 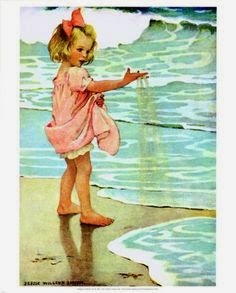 But many have been the times when I have done just that—especially when they want to play in it just after I’ve cleaned and mopped the floors, for, as has been scientifically proven, when a child approaches sand in any form, it magnetically attracts to the child, adhering to every square inch of his or her body and clothes. 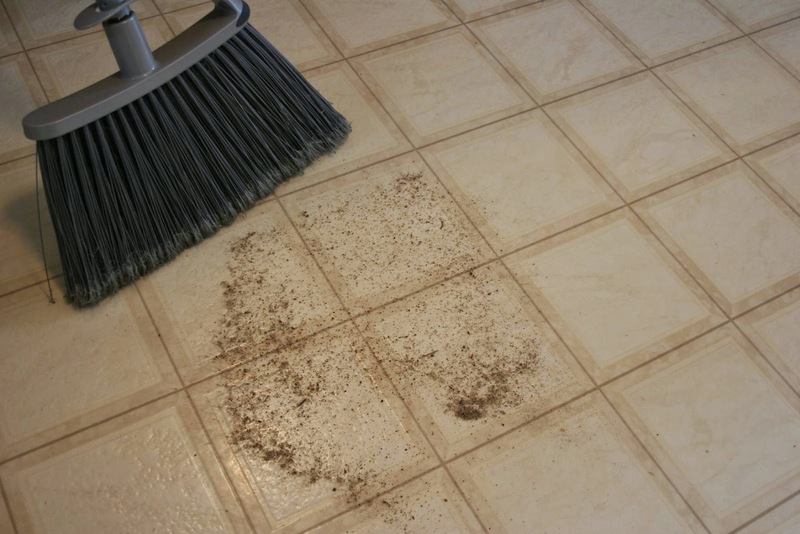 Then, upon entering a house, it’s as if the magnetic switch automatically shuts down, and the sand all falls off, creating deposits only rivaled by the Nile Delta. Recently, some of our grandchildren were here for a visit. They spent a good portion of their days playing in the sandbox. 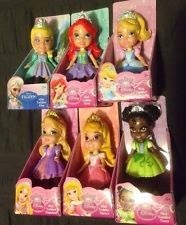 One evening, just as the sun was setting, and it was beginning to rain, my granddaughter informed me that she had forgotten to bring in the brand new plastic princess dolls we had given them for Christmas. (Unlike other toys, these could be taken outside, with the stipulation that they come in at the end of the day). “Where are they? Can’t you quickly run out and bring them in before the rain comes down harder?” I asked. 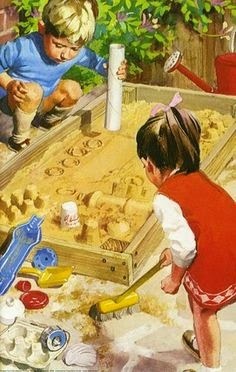 Her reply, “They’re in the sandbox. Buried. They all died.” I thought about insisting my granddaughter go after the dolls, but I quickly settled on a different option. Picturing sticky, clumping sand which would most assuredly have been caked on her clothes, shoes and body, I put on my coat with the hood and went out to collect the dead dolls without uttering another word. Digging with a plastic toy rake, I found five of the six interred dolls. (After a month and a half, the sixth still remains at large in her sandy grave.) 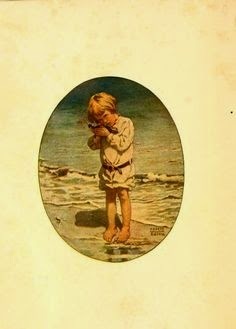 I still had to deal with sticky, clumping sand, but it was on my shoes and hands, which makes a world of difference. During the summer, when some of the children are here, they can disappear for hours at a time in the cool, shady spot on the side of the house where the sandbox is. If I crack the bathroom window open, I can hear them pretending and imagining all sorts of situations only children can conceive of. It’s at those times, that I truly appreciate the benefit of sand. Still, if we ever build another sandbox, I’m determined that it is composed of at least 75% gravel. And who knows? 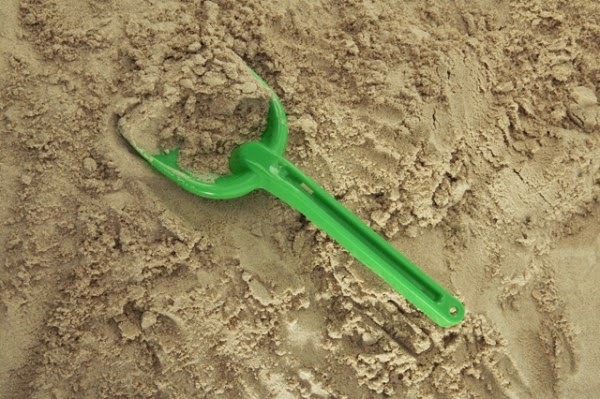 I may even break down one of these days and buy some Waba Fun Kinetic SandTM….for me to play with! 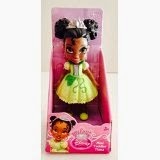 *This post is not intended as an advertisement for Kinetic Sand, Aaron Brothers, or for Disney My First Mini Princess dolls. Just telling it like it is. 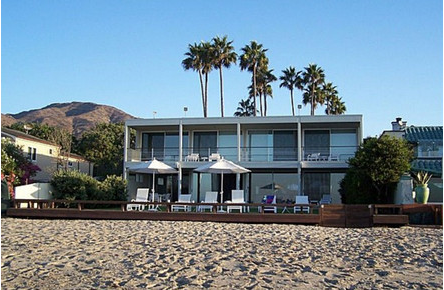 Categories: beach, beach houses, children, cold fried chicken, families, grandchildren, motion, picnics, Sand, sandboxes | Permalink.